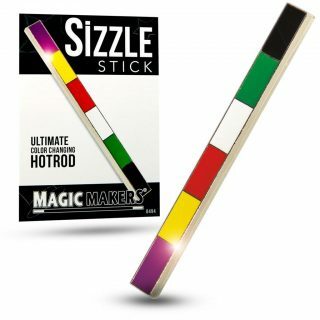 Iowa Magic Shop presents Cinco de Mayo Magic! 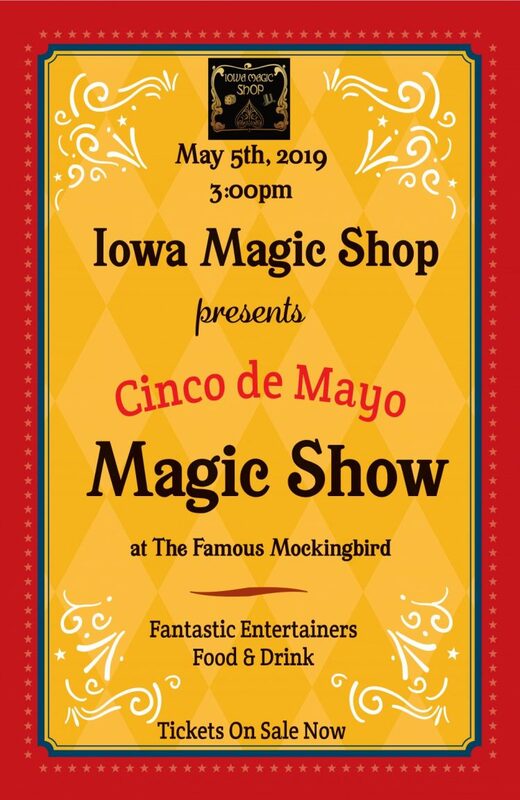 Sunday , May 5th 2019, 3 p.m. at the Famous Mockingbird (1064 7th Ave, Marion, IA…3 doors down from the magic shop!) Three very talented magicians are joining us for a great family event. Enjoy festive eats along with some unbelievable illusions and fun! Doors will open at @2pm. Steve Daly is the ultimate comedy entertainer! He wears many “hats” and has kept audiences laughing with his unique hypnosis and magic shows for over 40 years. Steve appears in shows across the USA for Six Flags Theme Parks and was a featured cast member of the long-running A&E Television Network show, “Criss Angel’s MIND FREAK”. Steve has performed for more than two million audience members during his 25 + year career as a Las Vegas showroom comedy magician & puppeteer. He is currently appearing nightly at Planet Hollywood on the World famous Las Vegas strip. 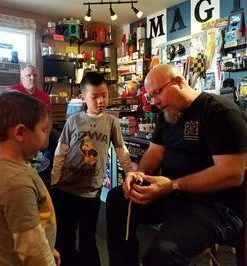 Steve returns to his home state of Iowa each Spring to produce magic & hypnosis shows, as well as The Midwest’s PREMIER Magic Convention, AbraCORNdabra!. GET AS CLOSE AS YOU CAN. What you are about to see will defy explanation…You’ll witness everything from the classics of the art of magic to minds being read, predictions coming true, and demonstrations that bend and break the natural laws of the universe. Utilizing his skills as a magician, mentalist, and hypnotist while blending in spontaneity, wit, and showmanship, John creates a show that will mesmerize the masses. Fresh out of College, comes one of Magic’s Rising Stars, Mikayla Oz! Mikayla has been featured in the USA Today, The Associated Press and Huffington Post for her award wining magic. During Mikayla’s set you can expect High Energy Magic, Captivating Story Telling and Hilarious Comedy, making Mikayla Oz an act you won’t forget! You can pickup your order at the shop or we can deliver for no charge in Marion or Cedar Rapids metro area. For shipped orders, most are shipped via USPS. Most orders ship for only $5.00 (or less). Additional rates may apply if item is large or exceeds 10 lbs. You will be notified before shipping. Shipping times quoted are shipping only and do not include order processing time. Most orders will ship the next day. Please be mindful during peak seasons, that processing may take extra time due to volume and whether items are in stock. Again we will notify you if there is anything unusual in regards to your order. We will ship within the continental USA only. Carriers: We use common carriers and reserve the right to change carriers without notice in order to provide you with the best service possible. We ship using Media Mail, First Class, Parcel Select, Standard Ground or Priority Mail service unless you request otherwise. Additional shipping charges may apply. Overnight: Overnight shipping requires special handling. There will be a $10.00 non-refundable service charge on all overnight shipping requests. Please call or email with any urgent requests to avoid any miscommunication. Incorrect Shipping Address: Please make sure your address is complete and accurate. Lost Packages due to an incorrect shipping address will not be replaced, unless the package is returned. If we receive the package back, additional postage is required before we will re-ship the package. If the lost/returned package is our fault, it will be replaced and reshipped at our expense. NO REFUNDS will be given on lost or returned packages if it was not our fault. Insurance Notice: Our responsibility ends once we hand your package to a carrier. Any loss or damage not covered by insurance becomes your responsibility. ASK FOR COMPLETE INSURANCE COVERAGE if you are not willing to accept this condition. We do not automatically insure. You must request insurance. ASK FOR INSURANCE FOR YOUR PROTECTION. Insurance does not cover incorrect addresses. Magic Tricks, Books/DVDs: The value of magic is in the secret therefore returns are not allowed. If an item is defective (not damaged due to incorrect use) we will exchange it for a duplicate item (if available)or work with you to find an acceptable solution. T-shirts: These are eligible for exchange if defective or doesn't fit correctly. Please see more info in our Cancellation/Return/Exchange policy. Magic Tricks & Books/DVD's: Due to the nature of magic (the value is in the secret), Magic products that are opened are not eligible for return unless they are defective or were incorrectly shipped. If that is the case, please contact us via e-mail or phone to notify us of the error within 7 business days after receiving the item to arrange return. This includes Media products. T-shirts: If the shirt is defective or incorrect size, it can be exchanged for a different one. The 7 day rule to notify us still applies. Return shipping costs will not be refunded for apparel ordered as the incorrect size. 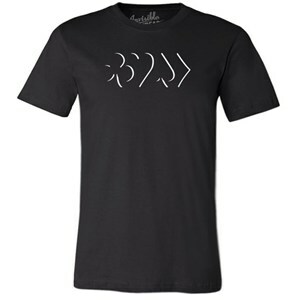 Note for ordering: All of our T-shirts are Men's size and cut. Cancelled orders will be issued a merchandise credit once the product is returned and in new, sellable condition. Shipping costs will not be refunded for orders cancelled by customers. Please inspect your package and your items upon receipt. Defective products will be replaced at no cost to the customer upon the return of the damaged or defective product. The customer is responsible for the return of the item and all shipping costs associated with the return. A merchandise credit will be issued to cover the cost of shipping once the product has been deemed defective. From time to time a product that you order will be on back order. This can occur for a variety of reasons. We offer products from many manufacturers, individual artists and suppliers. We will notify you immediately of any back-order situation that would prohibit us from shipping your order in a timely fashion. You will have the option to substitute a similar item if available or keep the product on back order. We will do our best to provide to you an accurate estimate of when it will be in stock to ship or you can request an in-house credit for the amount of the item.